It’s 1982. Gone are the days where any self-respecting giraffe can get away with a simple coat of uneven squares. This season features natural-fibre turtle neck sweaters in a range of bright and vibrant colours. 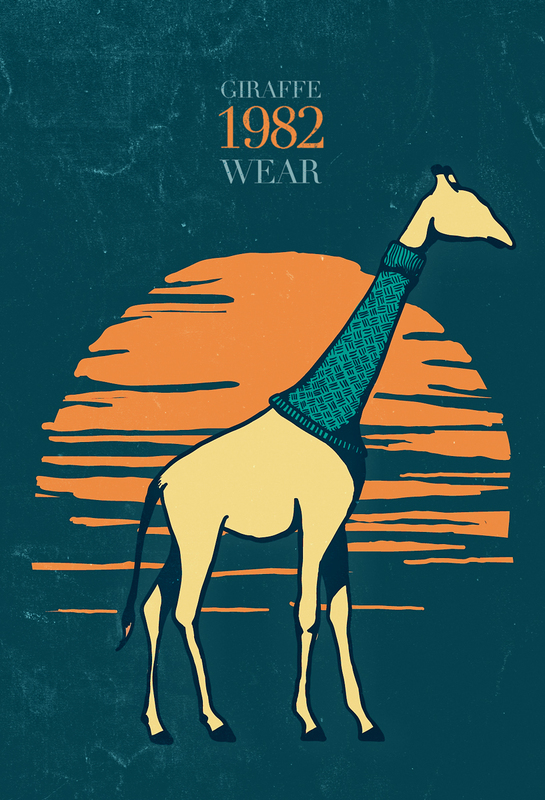 Thought I’d keep with the animal theme today but have a bit of fun with it and really, what isnt fun about an albino giraffe in a turtle-neck sweater. I like this one! It looks a bit like the sweater that the gillin/richardsons put on their precious myf 🙂 Cool pic though, I’m liking the animal series!